Frameworks for Learning and Development supports training and delivery of CHC50113 Diploma of Early Childhood Education and Care. 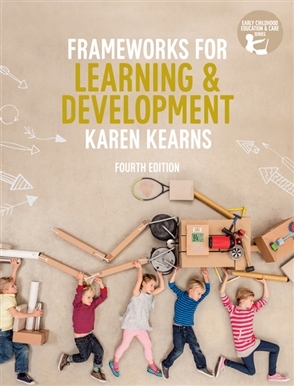 The bestselling and award-winning Working in Early Childhood Education and Care Series has been developed to assist students in gaining the skills and knowledge required to achieve a vocational Early Childhood Education and Care qualification. It reflects the key components of the National Quality Framework (NQF) for Children's Services as they relate to curriculum and pedagogical practices in early childhood settings.